December 16th in Wordpress Plugins by Wordpress Jedi . 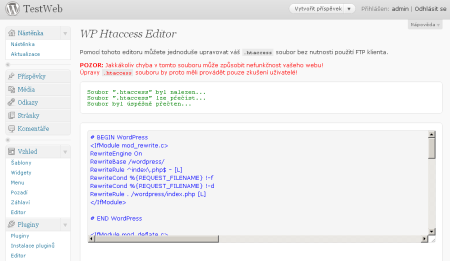 WP htaccess Control: provides you with an interface to make changes to your .htaccess file from WordPress. It suggests .htaccess rules to make life easier for beginners. WP Htaccess Editor: not as sophisticated as the first plugin but it does make it easy to make changes to your file without having to use FTP. 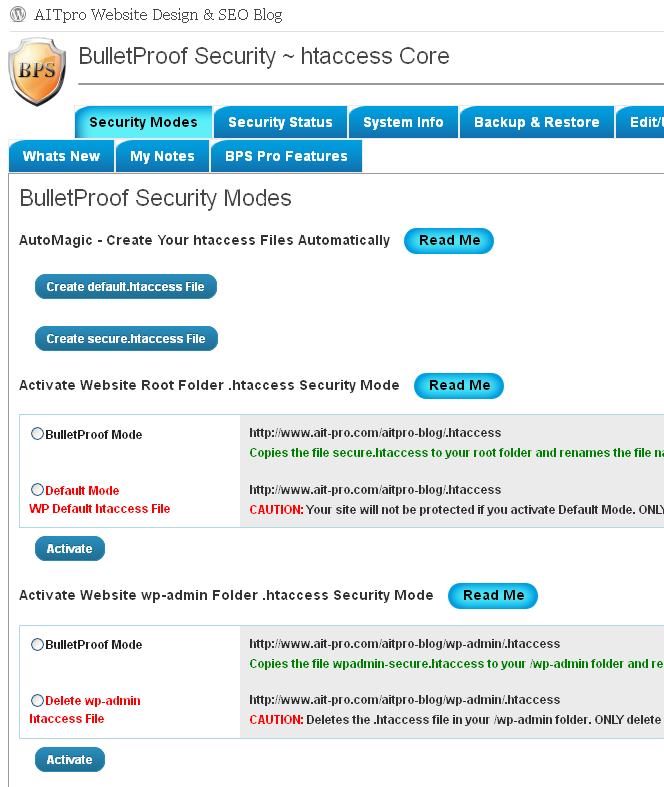 Bulletproof Security: a powerful security plugin for WordPress that significantly improves your defenses against hackers. It offers .htaccess protection to block XSS, CSRF, Base64_encode and SQL Injection hacking attempts. 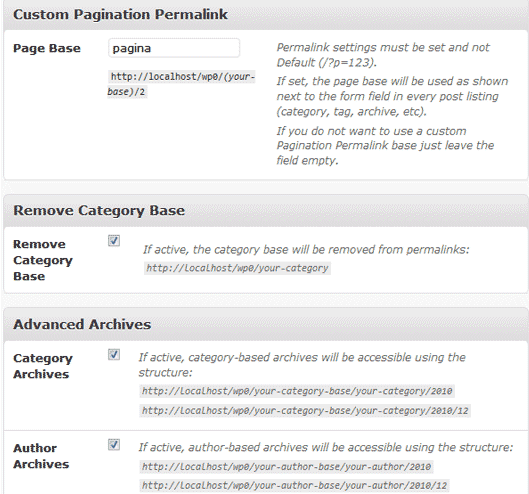 SEO Ultimate: gives you more control over your on-page SEO factors. 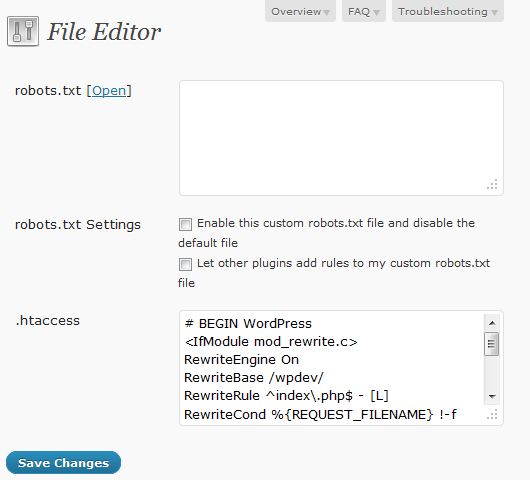 Lets you change your robots.txt and .htaccess files from its options page too. All in all, if you do not like editing your .htaccess file using an FTP connection, you may find the above plugins useful.